Although Cairns works hard to attract tourists from mainland China, perhaps it might be time to pause for a moment and reflect on what we don’t know as well as what we do know about Chinese tourism in Australia. First the good news. 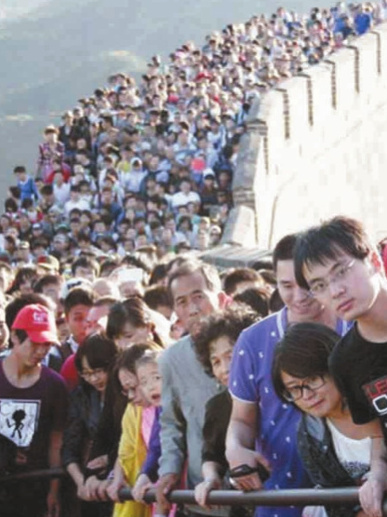 Last year (2013), approximately 700,000 Chinese tourists visited our shores. Further, in an article for the China Spectator (January 6, 2014) Robert Gottliebsen reported that the number of inbound trips from China to Australia will grow at 9% per annum between 2012 and 2030. A growth rate to get excited about. The question is: as the numbers increase, how many of these visitors will include tropical North Queensland in their itinerary. What factors might inhibit the desire of these people to visit our region given that we already know that Chinese tourists around the world prefer to visit large cities rather than regional locations (no matter how exotic or naturally attractive they might be)? Knowing what we don’t know: Three examples (only). Chinese people associate the countryside with poverty. In fact, many Chinese visitors to Australia may have rural relatives whose standard of living is much lower than their own. We should not assume that they will automatically appreciate our mountain rainforest environment. I have known Chinese guests to look up at the magnificent ranges surrounding Cairns and be unimpressed. Another example: most Chinese people live inland. The sea is a foreign environment to them. In fact, they can find large expanses of water ‘boring’. Thus they may prefer shorter trips to the closer islands which offer diverse attractions than longer trips to the outer reef which focus on the natural beauty of this wonder of the world. I have travelled on a large vessel and noted that some Chinese visitors were unhappy with the time taken and the distance travelled in order to get to the destination. They couldn’t appreciate the marine environment, and consequently felt that they were wasting valuable sight-seeing time while onboard. In fact, the clear blue (pollution free) sky above was more interesting to them than the sparkling blue water below. 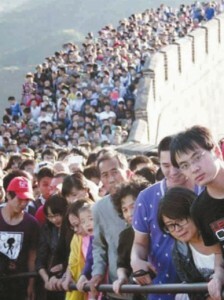 It is a fact that Chinese people feel at home in crowded environments. This is not surprising if we consider that two thirds of China’s land mass is uninhabitable and that 1.3 billion Chinese people are squeezed into the remaining one third of their homeland. Their culture celebrates collectiveness rather than individuality, and generally speaking, they feel uncomfortable, lonely, and sometimes unsafe in sparsely populated environments. Unlike us Australians who complain about crowds, Chinese people enjoy rubbing shoulders together. This reinforces their sense of being Chinese. They feel comfortable in cities. Knowing what we don’t know might help us to be more creative in marketing our region and its attractions to potential tourists from mainland China. Targeting specific segments of this group such as young independent travellers (for example) might be one way to go. Reassuring groups of conservative middle-aged folk who have never left their local county that many Chinese people have visited Cairns and have enjoyed themselves might be another. Engineering a sense of Chinese togetherness might also help. In short, adapting services and experiences to meet the unknown as well as the known needs of this group might be good policy. Anything to ensure that our region gets its fair share of Chinese visitors to Australia.